Here's a small mod to make the Apartment Life trash chutes disappear from view in walls-down mode. 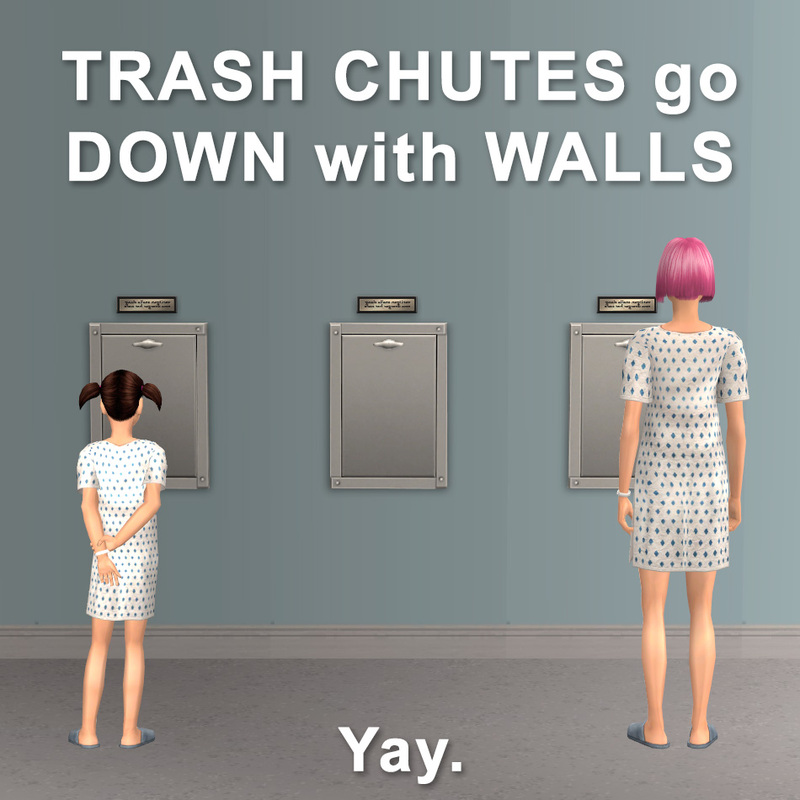 You must delete and rebuy trash chutes already placed on lots for the change to take effect. BIG THANKS TO: Lee, Kiri, and Nix for teaching me how to make this type of mod. PIC CREDITS: Hospital equipment, hospital curtains, hospital gowns, ceiling tiles. Yes, please! Thank you for doing what Maxis should have! "thanks for doing what EAxis should've done in the first place!" ...like making a general "clean" or "repair" menu option. ...like surfing on beach lots. ...like falling asleep in your homework. I could spend thousands of lines of text with additional examples, but really what it comes down to is, thank the Lord for all our fantastic and wonderful modders/creators/evil geniuses!